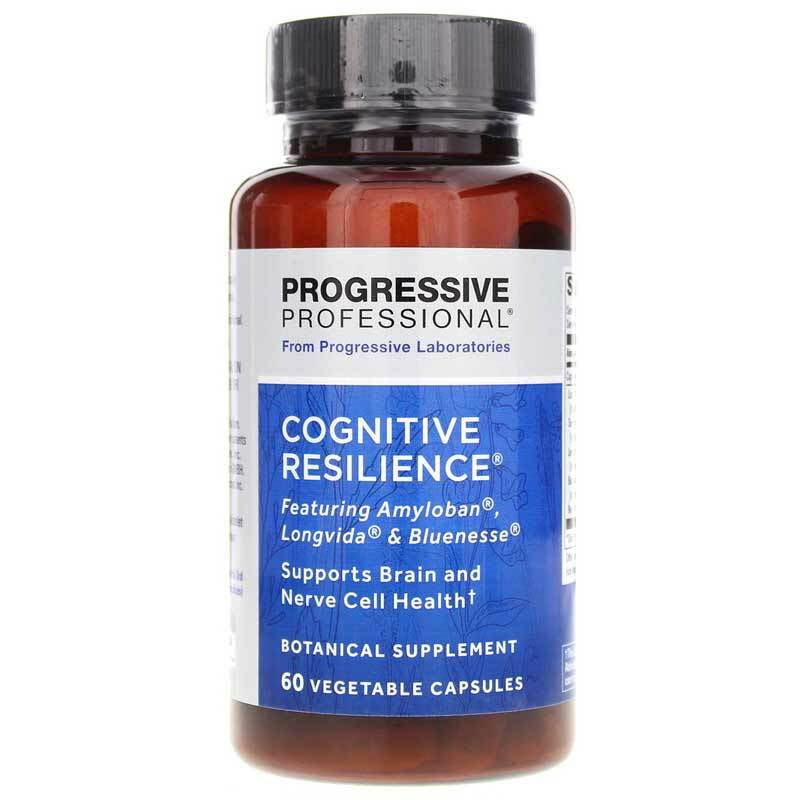 Cognitive Resilience from Progressive Labs is a professional grade botanical supplement designed to support brain and nerve cell health. Ships today if you order in the next 6 hours 20 minutes. Featuring a science-based spectrum of phytonutrients designed to deliver multidimensional factors for cognitive support, Cognitive Resilience contains a unique blend of botanical ingredients. on's Mane - This mushroom may have nootropic properties, supporting memory and recall while helping to maintain normal focus. Bacopa - Standardized to 45% bacosides, bacopa works with dopamine and serotonin, and supports normal neuron communication. It may also provide adaptogenic support for a balanced mood. Lemon Balm - Used primarily for its calming effects, lemon balm may also have potential supportive properties for cognitive function. Red Wine concentrate - Red wine contains resveratrol, which has antioxidant properties that may help protect cells. Turmeric - Turmeric helps to maintain a normal internal response and also has antioxidant properties. The turmeric in this supplement is standardized to 23% total curcuminoids. 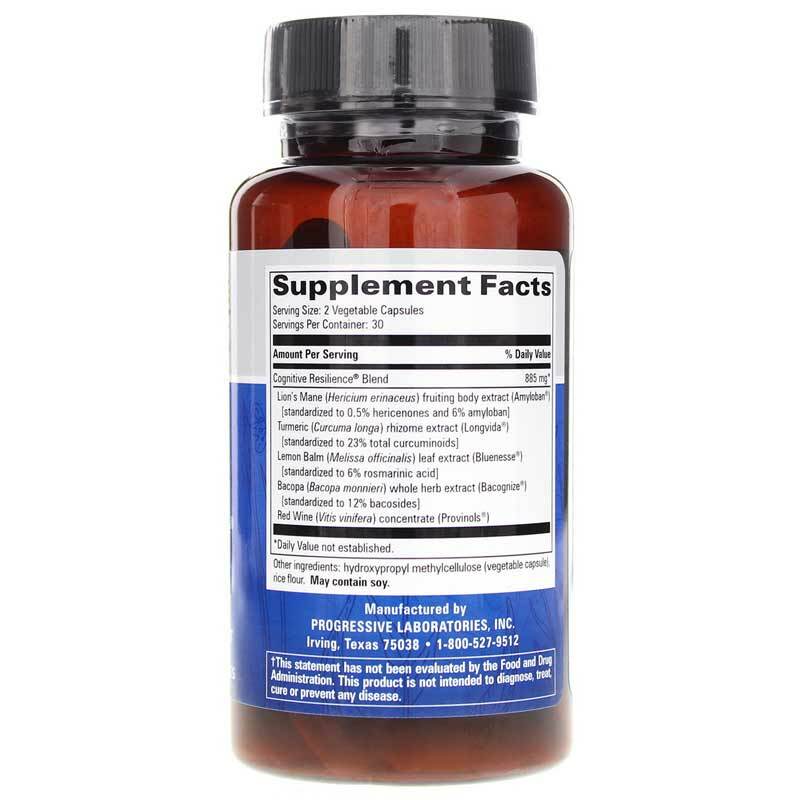 Together, these natural ingredients provide synergistic support for optimal cognitive function. Order Cognitive Resilience today. Adults: Take two vegetable capsules once or twice daily with food or as directed by a health care professional. 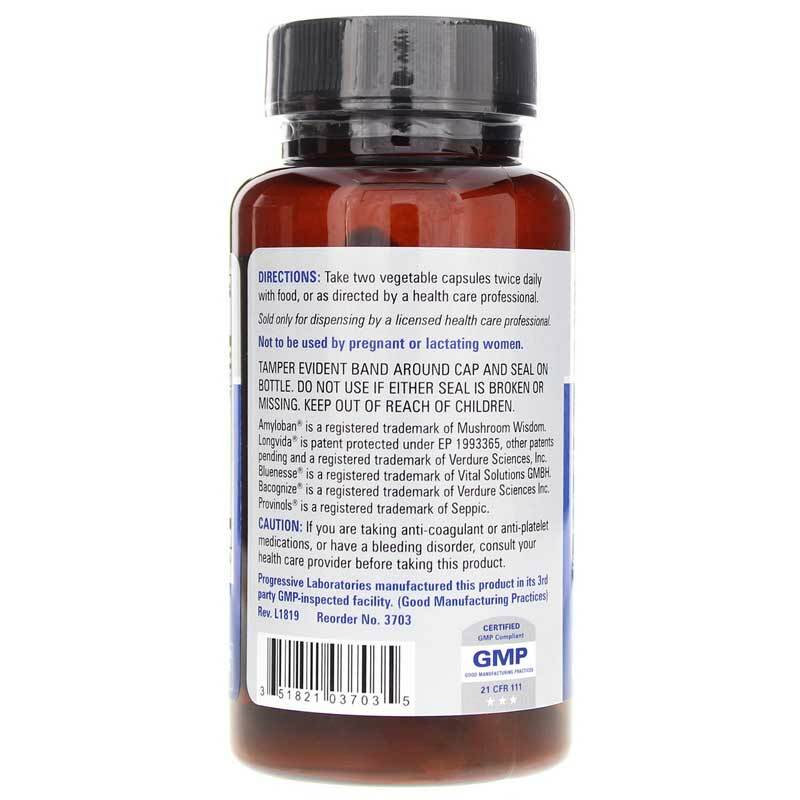 If you are taking anticoagulant or anti-platelet medications, or have a bleeding disorder, consult your healthcare practitioner before taking this product. If pregnant or nursing, please consult your healthcare professional before using this product. Keep out of the reach of children.